Share the post "Podcast Episode 36: Visual clues to professionalism"
Working from home might feel like an endless opportunity to work in your pyjamas, but there are times when it is really important to think about your visual appearance – including the appearance of your website and social media profile pages. In this episode, Lorrie and I talk about lots of aspects of your visual presentation, including how you need to prepare for Skype conversations, and how to choose a business name. LH: Hello and welcome to Episode 36 of A Little Bird Told Me: the podcast about the highs, the lows, and the no-nos of successful freelance writing. You can find us on the web at alittlebirdtoldme.podomatic.com and there you can subscribe to the podcast via RSS feed, iTunes, Stitcher Smart Radio or just there on the Podomatic page itself. It’s so worth clicking the subscribe button because you’ll get a notification as soon as our new episodes are out. Don’t miss it. PW: And I am Philippa Willitts and today we’re talking about visual clues to professionalism. As a freelancer, you are your brand, so – for better or worse – how you present yourself, and what your web presence looks like, will be judged. And while we all know that you might don a suit for an important client meeting, there are actually a lot more factors to consider. So today we are going to cover these different issues of visual presentation, and we are going to start by looking at what you call your business. LH: Yes, one of the biggest decisions you make when you’re starting out as a freelancer is whether to trade under your own name or to create a company brand that customers will use instead. PW: Yes, this can be a really big decision, and somebody actually asked our advice about this on our Facebook Page a few weeks ago. What I said then still stands actually: my advice was that first of all you should start by thinking about your real name – is it common or unusual? If you’re called Jane Smith, then calling your business JaneSmith means you will never be easy to find in the search engines. People might have to scroll through pages and pages to find you, which they just won’t do. On the other hand, having a name like mine – Philippa Willitts – where nobody can spell EITHER of my names, never mind both of them, leads to problems with web addresses. LH: Yes, I have a friend who’s just making the transition from salaried to freelance and she’s facing the same issue – her surname is of Czech origin which leads to all kinds of mispronunciations and spelling issues. I bet you get issues with the ‘l’s and ‘p’s in Philippa as well, don’t you? And maybe even ‘f’s?! PW: The number of spellings of my name I’ve seen throughout my life is really quite outstanding. When I was a teenager, I started going, “One ‘l’, two ‘p’s, two ‘l’s, two ‘t’s, four ‘i’s.” It’s the bane of my life in many ways, and it is one of the reasons I went with PhilippaWrites – it’s so that people would only have to spell one of the two names right, and it was also clear what I did. PW: Now, if I was starting again I might not choose it though. At the time I chose it, I hadn’t really researched, and wasn’t aware of the sheer number of people who use the “firstname + writes” as their business name! Going in the area of specialism, if you have one, can definitely work – I’m also Social Media Writer which says a lot more. LH: No, I’d back you up on the difficulties that come from using your name as your business name – Lorrie Hartshorn is a nightmare to spell. PW: Of course because there are two…three immediate ways that I can think of to spell your name! LH: I was going to say, keep counting! PW: Yes, I said, ‘two’ and then immediately came up with more! LH: Yeah, I’ve been referred to as Larry Hawthorn before. But people generally call me Lorraine. There’s no indication anywhere that my name is Lorraine – and indeed it isn’t – but no, that’s what I get called. As for whether I’d stick with my own…I don’t know whether to call it my business name or not. I tend to refer to myself as ‘That Wordy Bird’ on social media and that’s had some really good feedback – people find it cute, fun, memorable, but the problem is that I’ve taken on some writers to help me. So I’m struggling to know whether I’m misrepresenting my business. I don’t think it is, and I think I’d like to keep ‘That Wordy Bird’ on, but it’s something I have to think of – and it’s another thing to bear in mind I suppose. LH: I did because what we struggled with…we’ve spoken to this woman a few times and she’s lovely but, much as you’d like to help someone, you can’t name someone else’s business. And I think we were keen not to do that. PW: Yes, I think we wanted to give her some starting points to bounce off so she could come up with names for herself. LH: Yeah, and although it might seem obvious objectively that there will be problems with certain approaches to coming up with a business name, it can be a minefield when you’re in the ‘trying to come up with a business name’ phase. – Firstly, your personality and your way of working. So if you’re super serious, maybe a fun frivolous name isn’t for you; maybe Firstname Surname Consulting is for you. But if you’re bubbly and you find yourself chatting about random stuff, maybe something a bit fun and catchy. Whatever works for you. – Do you want to be a sole trader or a company? Will your brand voice be an ‘I’ or a ‘we’? As I say, I’m having trouble with my name now that I’ve taken on writers to help me and moved into an agency set-up. I’m still a sole trader but I work with other people. How visible do I want that to be to clients? PW: And I think in legal terms, we’re both sole traders although this isn’t going to be an episode where we look into the benefits of sole trader vs. company, but sole trader is generally an easier status to manage. The accounting is simpler and that kind of thing. But it’s worth thinking about – we’re not the people to advise you but there’s plenty of information about that. And it’s different in different countries, of course. LH: The advice I was given by my accountant is that unless you’re earning an awful lot of money when you’re starting out, there’s no real tax benefits to being a company, at least here in the UK. PW: Yes, that’s similar to the advice I read everywhere. Unless you’re setting up something complicated, then be a sole trader. You can always upgrade, as it were, to a different status if necessary. LH: And this is the thing – you don’t have to. Someone I know who’s been freelancing for nigh on 35 years is still a sole trader. You don’t have to. I suppose ‘upgrade’ wasn’t the word for it – it’s not a case of sole trader not being as good as a company; there’s no cap on earnings as a sole trader, as far as I’m aware. So yeah, I’d recommend starting out and going from there. PW: Yes, don’t complicate things for yourself. LH: Yes, not unless you really like tax, in which case, help yourself! LH: So the next thing I’d say to bear in mind is your target audience. Will you be B2C or B2B? Obviously as a writer, you’re likely to be B2B, but I mean will your clients be B2C or B2B. Will you be specialising in a certain sector? If so, maybe your name needs to reflect that. If your clients are in the fashion and cosmetics sector, then your name should be different than if your clients are in the financial and legal sector. PW: Yes, I mean, my Social Media Writer ID is very specific. Possibly too specific because I also do tech writing, but it gives people an immediate idea of what I do, which is helpful. LH: Yeah. Definitely – your branding is straightforward, clean lines, social media writing, does what it says on the tin. And yeah, to me, that’s good branding. But if you were targeting magazines to write about food and travel, it wouldn’t work at all. PW: Definitely, and this is why I have the two different identities. It does work because I love the tech writing but I do also do magazine journalism and opinion writing, which can be on all sorts of subjects. LH: Which takes us on to the next point, I suppose, which is what services are you offering? I see certain freelancers marketing themselves as, say, “[Name] Media”, while others go with the more simple, “[Name] Copywriting Services” or “[Name] Content Marketing Services” Be aware that your name needs to suit you as you grow – don’t limit your service offerings if you think you’ll be able to train up and expand your service offerings. If Pip had started out as Philippa Willitts Blog Writer, then she’d be a bit stuck now. LH: Another thing to consider is: do you have a whimsical story behind your transition into freelancing? Maybe there’s a theme you could use that represents something important to you. For some reason, I see stock photography of a little unfurling seedling on lots of copywriting websites, and that plant gets everywhere! The point I’m trying to make is that that seems to represent how they feel about moving into freelancing. PW: And sometimes having a slightly unusual name will provoke conversation. If you give someone a business card and it says your name is Seed Copywriting, that can be a talking point. LH: Yes, I’ve also seen things like “Cherry Red Marketing” which sound lovely and could be a nice tack to take if you fancy a more abstract name. If you do go with something fun, make sure it’s not something you’d be embarrassed to announce to friends and clients alike! PW: Yes, and there are a few things to check, also: try saying the name out loud and make sure it can’t be mistaken for something rude. Check how it looks as a URL, and make sure it doesn’t contain inadvertently rude words. Lorrie and I have worked as receptionists and secretaries. So with a business name, you have to imagine picking up the phone and saying it. So do check! LH: True, and I suppose one thing to consider is how does it work with social media? PW: True! Is it already taken? Is the URL available? LH: Getting the giggles here thinking about some of those terrible URLs, like Pen Island (penisland.com!). And did you see the hashtag for Susan Boyle’s album launch (#susanalbumparty). PW: Recently, when Margaret Thatcher died, the hashtag #NowThatchersDead and that provoked a big reaction, “Oh my God, Cher’s dead!” and Cher had to come out and say, “I’m not dead!” So that’s the kind of thing you have to be careful about. LH: Yes, it’s a tough choice, and I’d definitely recommend running your ideas in list form by a few trusted people, just to make sure there are no unfortunate connotations with any of them! Check their reaction – read out a whimsical and amazing name and see what happens. I know that here in the UK, Moonpig has done really well, but I wouldn’t want to call a copywriting firm Moonpig. Or Cloud Hippo! PW: You’d have to have a very good story behind it. LH: Hahaha! Yes, so be a bit sensible and don’t embarrass yourself. PW: Now, the name of your business is important, but it’s actually not the most vital part of your identity. There are some really successful freelance businesses with frankly embarrassing names, and there are others whose names I wished I had thought of myself but that have very little success. The name is important but it has to be part of an overall package. PW: Another important piece of the visual puzzle you create is the photos you use, and this can be your Twitter and LinkedIn headshots, the photo you send to places you are writing for to put in your profile, your Facebook cover photo and any pics of yourself on your website. So, smiley? Serious? Or light-hearted? LH: It’s a difficult one, isn’t it? When you’re in a salaried position, having your picture taken for the office website can be embarrassing; when you have to have one done for yourself, it can be mortifying. I think the thing to remember is that it’s not about pretending you’re someone different, so if you’ve got a nice picture of yourself smiling, that’s fine. What it is about is deciding what’s appropriate. If you have a nice picture of yourself smiling over the fourth pitcher of pina colada, maybe don’t use that picture, or use it on your personal Facebook and check that those privacy settings are up. PW: Yes, it might feel like you’re being “injecting personality” by showing yourself downing a pint in one go, surrounded by cheering friends, that’s not necessarily the kind of personality a client wants to see when they are considering working with you! LH: Definitely not! A pet hate for me is cheesy head-shots. And particularly – people have social media pages now, and I’ve seen people have a little head-shot as a profile picture and a giant head-shot behind as a background image. LH: There’s a social media expert I’ve seen who has *the cheesiest* headshots ever – pure cheddar. In one, they’re bursting through a bit of paper and making a really weird “Argh!” face, and it’s just odd. They’re looking to one side, mouth wide open, teeth showing. And while I can’t deny it’s caught my attention, the attempt to make something so contrived – it’s clearly a studio shot because who has a candid shot of them coming through a piece of paper?! – look natural and spontaneous (they’re not even looking at the camera!) wouldn’t make me want to hire that person. To me, it’s not fun or cute; it’s just kind of unprofessional. LH: Haha, it kills me that we have to specify this! PW:…and that people don’t have to struggle, when they look at it, to understand what is what. LH: I dread to think! But yes, all good points. And just thinking about what you’ve said: if you’ve got a picture that’s blurry but you think you look a bit fit in it, don’t go to Picasa and turn it black and white, and high contrast. If it’s a blurry picture, it’s a blurry picture; I don’t care how gorgeous you look in it – it’s not appropriate for work. PW: And nowadays, camera phones are exceptionally good, so either you or one of your friends will have a decent camera. As long as the photo in the end looks good. LH: I’ve seen people who’ve forked out for headshots. That said, there’s no need to get expensive photography if it’s beyond your price range. Headshots can be expensive and you might not have those funds. Get a friend to take some nice, clear, non-blurry pictures of you wearing something smart, and you’re all set. And stay away from funky photography effects unless you know what you’re doing and it’s in-keeping with your brand. Because remember, people will be contacting you and seeing you as the person in your ‘work’ images, so give them as professional and neutral a feel as possible. We all build up a picture of someone – I defy most people to say that they don’t go and have a look at what someone looks like – I’m always interested to know who I’m speaking to. Be neutral, be professional and remember to smile. PW: Another situation where you have to think about how you look, and what your surroundings are, is if you have meetings with clients on Skype. If you use video chat during these meetings, then you will be expected to not be in your pyjamas, lying down in bed. Clients know you work from home, so they won’t necessarily expect formal office attire and a plain white background, but it is worth taking a moment to consider how you are presenting yourself when you do have video chats. Also, whether you use video or just audio chats consider background noises – don’t have the TV or radio on in the background, and take care – and I know this from podcast recording! – even with things like whether the washing machine is on a noisy spin cycle or not! LH: I’ve taken Skype calls before where I’ve still had messy hair or a slouchy t-shirt on: I actually pop a piece of paper over my webcam so that, if I accidentally hit ‘video call’ instead of ‘audio call’, my clients won’t be horrified! PW: Yes, post-in notes can be very good for that as well. Something I do about 10 minutes before a scheduled video chat is to turn on my webcam so I can see exactly what’s on show, and exactly what the client will see. It actually helps me to spot things I hadn’t noticed, because I’m looking at it with fresh eyes. LH: That’s actually a really good idea. I don’t tend to do video calls, but that would definitely help reassure me if I did. PW: Yes, I don’t tend to do video calls either, but once in a while they are necessary. When dealing with other freelancers, I’ve had them say, “Please can we not do video chat? I haven’t got dressed yet!” and I’m happy to oblige! PW: Now, something else to bear in mind, in terms of how you present your business visually, is the appearance of your website and social media profiles. Looking again at social media, make sure you have made the best of the opportunities that Facebook and Twitter offer you for personalising your profile and Pages, with the header images and so on. These aspects aren’t as important as your head shot, but they contribute to an overall feel. Then, looking at your professional website, think about the layout and background, and the font and font size too. LH: Yes, and I think it’s important to make sure there’s a synergy between your website and social media feeds. So if you have monochrome social media feed with a splash of pink, don’t go for a beige website with a scrolly font. But in terms of fonts, it’s something I wrote about on my blog recently. I do a lot of fiction reading because I do literary editing – and a lot of what I read is on blogs. And a lot of the blogs I come across have a black background with red font, or a black background with lime green font. And unless I have to read whatever it is – which is rare – I just click away. I can’t deal with the glow – it gives me a headache. PW: Someone I know had a lime green background with white font, and it was actually painful. LH: It’s called ‘halation’ out of interest – the glow you get from light font on a darker background. Now, I don’t have any visual impairments, but that causes me massive issues. PW: Yes, there are views all over the web about that, so just go with what you think. LH: Yes in my view, as long as you stick with a font that people can read and are happy to read. I visited a copywriting site fairly recently and bounced straight back off the page when I saw that the writer had chosen a squirly handwriting font to go with her cutesie 1950s theme. While a cute theme can work – it’s a risky choice but it’ll get you noticed – keep your font readable. PW: Yes, and readability is particularly important in terms of web accessibility. Like Lorrie, I have visited sites that I bounced straight back away from because the font was either too small, illegible or there wasn’t enough contrast to read it easily, and although I am short-sighted, my vision is fine when I wear my specs. However for people with reduced vision, these kinds of things make your site impossible to navigate, so if they are a client looking to hire you’ve instantly lost some potential work before you could even start to sell yourself. LH: Yeah, I mean black or dark grey font on a pale background is always going to be your best bet, in my view. Studies that I’ve read do seem to indicate that a high contrast – although not too high – is the best option. PW: Yes, I believe the best contrast advice in terms of accessibility is black on a pale coloured background. Black on white is too ‘contrasty’ and can cause difficulty for some people, so although I haven’t looked it up in the last year or two, the advice last time I researched the best practice was black, or dark coloured font on a pale background. LH: One thing it’s important to remember in terms of your online presence is that people will sometimes search for you and, even if they don’t actively search, people will sometimes find you. And by you, I don’t just mean your carefully designed website – I mean your Twitter, your Facebook, your Pinterest or your blog. It’s very hard to be invisible on Google nowadays, so it’s important to control your social media feeds and make sure that anything you wouldn’t want clients to see is tucked away behind your privacy settings. PW: I’ve read a few interesting blog posts recently about whether or not freelancers should be friends with their clients on Facebook, and although they all presented a “pros and cons” approach, I strongly identified predominantly with the “no, don’t do it!” side of the advice! LH: God, yes, 100% agree. Do not befriend your clients! You might think you’re charming and marvellous, but a whole host of factors are going to come into play. LH: They are. Pip’s Facebook is a hotbed of decadence and scandal. PW: …but just because they’re not at all relevant to the work I do. This is exactly why I have Facebook Pages for my business, so that people who want to follow me or keep in touch can do so there. I need social media spaces where I can switch off, and that includes my personal Facebook account, and my personal Twitter account. I have my Facebook Pages, my professional Twitter account, and my LinkedIn account to network with clients and prospects, and to promote my work. LH: And it’s nice that you don’t put all your work stuff on your friends, as well. I’ve dealt with individuals and sole traders previously who don’t get the difference between a Facebook profile and a Facebook page. PW: And it’s an important difference! LH: That’s the point I was trying to make earlier – I spent about an hour trying, unsuccessfully, to try and explain the different between profiles and pages. And as far as I’m aware, they’re still using their Facebook profile as their personal and professional Facebook presence. Even if you don’t say something actively offensive, most of what you say will be irrelevant, so it’s best to limit your communications to when you’re tuned in. Jokes, sarcasm, flippant comments can all be really hard to translate. If you have one shot to attract a client, that’s just not going to work. PW: As Lorrie said earlier, making sure your privacy settings are carefully managed is vital. There’s no point me not friending clients on FB if they can just do a search and see everything I post anyway! I know that some clients have “subscribed” to me on FB, so I do some “public” posts, just so they have something to see! Those tend to be quite generic ones that won’t offend anybody or give too much away about my life, but that they might enjoy seeing. LH: One thing I would say is that you don’t need to panic about wiping every trace of yourself off the Internet. Things like my blog and my creative writing are visible if you search for my name because I wanted my creative writing to be published under my name, and that’s not an issue. My writing is my writing – while I wouldn’t go and say to my clients, “Hey, take a look!”, it’s not something I’m interested in hiding. The same goes for my feminist articles – while they might not be to every client’s taste, they don’t interfere with the work I do, nor are they something to be ashamed of or bashful about. PW: Yes, absolutely. I am always aware that, if somebody looks hard enough, they can find parts of me online that I might not promote with my professional work, but which also don’t get in the way. LH: That being said, it’s important to remember that, if you’re a freelancer, the lines between professional and personal do get blurred. Like it or not, freelancing is a bit of a lifestyle, in my opinion, so you have to be a bit careful about what you post. A good way to get a bit of freedom if you want to be more controversial in your personal dealings is to use avatars that don’t show you, and pseudonyms. Or, as we mentioned earlier, to trade under a business name. But even that might not be enough if you’re posting something that clients might find really objectionable in your spare time. PW: So we’ve looked there at how clients and potential clients might view you if they see things that aren’t on your professional site. It’s an important thing to bear in mind because the vast majority of my work comes from online connections. LH: So, I hope you’ve enjoyed this episode and found it helpful. It’s now time for the A Little Bird Told Me Recommendations of the Week. PW: For people who are interested in journalistic writing I found a really amazing resource about how to deal with sourcing information. It comes from Reuters, the news agency, and is a really comprehensive list of 23 vital aspects of dealing with sources, interviews, quotes, privacy, honesty, and it is clearly fairly up to date because it also includes the ethics and practicalities of dealing with social media as a source of information. It’s a long read, but if you are working in journalism, news or newsy opinion writing it’s absolutely packed full of information. So I’ll link to that in the show notes. LH: Yes, the damage from that can be huge. PW: And like you say, because so many people blog – and it’s known as citizen journalism – there are a lot of people skipping journalism school and going into journalism. I did that, so I’m not criticising it, but one of the things about journalism school is that you learn those kinds of things. This was a particularly good resource for me. 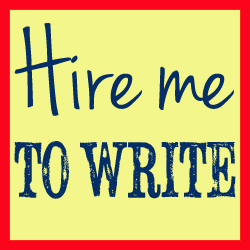 LH: My recommendation this week is based on a comment someone made to me recently about how he couldn’t be a freelance writer because he doesn’t have a degree. Now, for the sake of disclosure, Pip and I both have degrees. And it is useful – it shows clients you’ve reached a certain level. In my opinion, though, although it might be harder to be a freelance writer without a degree, I’ve never been asked to prove I have a degree. I’ve never been checked or even asked. So that’s not to say that having a degree isn’t important experience. But I don’t think that if you’re a good writer with a good level of English, that you should write yourself off. PW: Yes, my degree is only tangentially related to what I’m doing now. Without wanting to be overly political, as student fees go up and up, more people without degrees will be making their way into the work place. LH: Yes, what are people supposed to do if they don’t have a degree? Which brings me on to another point: writers with a degree shouldn’t consider their learning done. My recommendation, to get round to it, is an online learning resource, called Coursera, which allows you to take University courses from a wide range of institutions online – for free! While most of the Universities featured are from the US (it’s a shame no UK unis have got involved yet) there are some from Europe, and a few Asian ones. Most of the courses range from 2 to 12 weeks, so you’re looking at a proper learning experience, and there are a wide variety that would be extremely helpful to any freelancer, whether or not they’ve reached Uni-level education. You’ve got courses like, “Content Strategy for Professionals” and “Understanding media by understanding Google”, delivered by Universities like Harvard. So really up to date course materials. So there’s no reason you can’t bring your learning right up to date – and no reason you shouldn’t whether or not you have a degree already. PW: it’s incredible to have access to the kind of teaching materials we can find online now. Even a few years ago, it was hard to find something good quality, but now – to have these often top of their field people teaching you for twelve weeks shouldn’t be underestimated. LH: The net is so big that we can sometimes forget how much there is out there. One of the nice things about Coursera is that you can actually build a portfolio and show it to people; keep a record of what you’ve done. With Alison.com, similarly, you can download a code to show you’ve done a course. LH: Yes, and the thing with Coursera is that we’re looking at courses from good quality institutions. So yes, thank you so much for listening. Really hope you’ve found what we’ve shared today useful and interesting. If you have any ideas or feedback, come and have a chat with us – you can find all the links to our Facebook page and social media feeds at alittlebirdtoldme.podomatic.com. We’re very friendly, so feel free. PW:…and I’ve been Philippa Willitts, and we’ll catch you next time.